What would you change about your team’s performance? What should I change about the process? So far I’m getting some valuable feedback. Many students commented they’d all like a chance to go up to the podium to debate. That’s the way I used to conduct the debates, but it’s just way too time consuming. This year I randomly passed out roles like opening debater, rebuttal debater, and closing arguments. So maybe for next year, I can figure out how to add two more chances for students to go up to the podium. And I need to remember to tell the students that just because there are defined roles, that doesn’t preclude anyone from discussing the debate and research with the rest of the team. From the student feedback, I also will be adding that everyone must write an argument, regardless of if they go up to the podium or not. I think that will give students more of a purpose and more ownership. A couple of the students commented that I should have more judges. I’m trying to not be offended by that. I think I’m non-biased, but I guess I can see their point. There were some students who were so invested in this debate that they were completely stressed out. I had hoped by not grading their debate performance, that that would take some of the stress of their shoulders, so that they could focus on learning the process, but I guess not. I had to reassure a few of them that they would be fine, and that all their efforts were going to work out just fine. What didn’t help things was I had 2 students who were randomly placed on teams, who were firmly against anymore gun control laws. So I think they may have played the devil’s advocate too often when their team was preparing. I heard from several team members that they just weren’t contributing. So I have to figure out how to avoid this in the future. With a topic like gun control, people do have their pre-conceived ideas, and many of them are deeply entrenched. Punishing them will not do any good. But maybe I need to remove them from the team, and somehow assign them alternative work so they don’t sabotage the team. Regardless, next year I will NOT be offering the topic of gun control as one that students may vote on for their debate topic. It’s just too divisive. The way I scored the debates was 1 point for a logical, effective comment, 2 points for a very insightful and effective comment, and -1 point for a confusing, irrelevant comment, or choppy delivery. With any new teaching technique, there must be reflection. 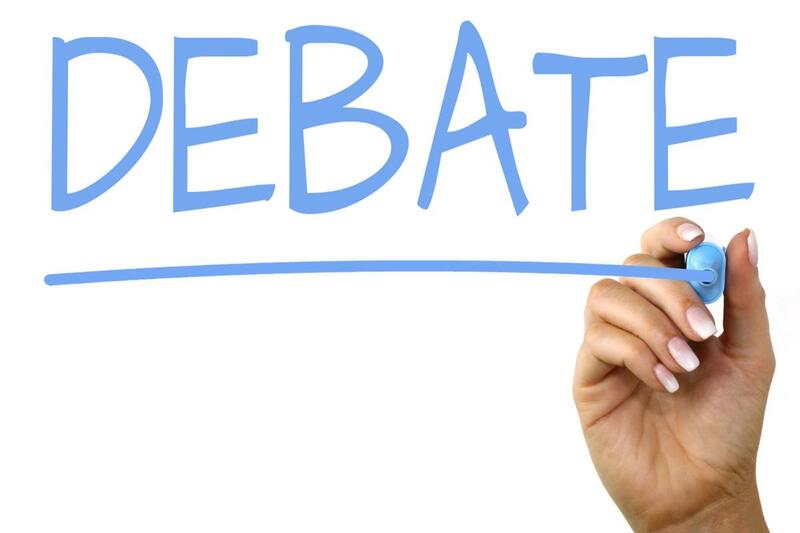 I know that the next debate process might be slightly different, but there’s no doubt that students learn so many valuable skills while preparing for a debate. Previous I’m having a sale!! Next Get ’em up and moving!